Part of Utah’s ban on polygamy was struck down Wednesday after a federal judge ruled that the law violated both the First and Fourteenth amendments. Will polygamist kids grow up to be polygamists too? Matthew 24: What Does it Mean? Many of us are convinced that we aren't good enough for God. Crazy as that sounds, how many of us feel that God isn't answering our prayers because we lack the faith, or that our character is not up to par with others that are closer to God. This is not going to be an article about unanswered prayer, but rather the reasons we think that our prayers are not being answered. Face it, if you are like me, we have many important prayers that we make to God which go unanswered. The human reaction to this is that God isn't listening, or if He is, then we are not worthy enough to have the prayers answered. In my role as co-owner of RaceRap, I have some in our audience that assume because I talk about religion and God, that maybe my prayers to God for them, will be better received by the Almighty. Flattering yes, but I think not necessarily the Gospel Truth. You see, I have the doubts that everyone has. I have had prayers answered, yes -- Important prayers, matter of life and death prayers (so far) answered to my liking. However I have had many more important prayers go unanswered, and so like everyone else, my first tendency is to think I am not asking properly, or worthy enough. Forward by Bob Barney: OK, I work in the auto paint manufacturing business. We work with dangerous chemicals everyday; from things that can explode to other things that can destroy your liver! We understand our risks, and try to take proper precautions, however do you take the same precautions when you get into your shower? You should. Some of the same ingredients that we use to make the paint that is applied to your car, are used in your personal cleansing and cosmetics! We use talc, they use talc, we use acetone, MIBK, MEK; they use the same. Here is an eye opening lesson of what you are NOT being told! What brand of shaving cream do you use? Makeup? If its on the shelf it must be safe, right? Think again. According to the Environmental Working Group, "there are currently 10,500 ingredients documented by the FDA as being used in personal care products. Only 11% (or 1,155) have been assessed for safety by the cosmetic industry." Those 1,155 assessed ingredients? They've been assessed "by the cosmetic industry"-not the FDA, kind of like "the fox guarding the hen house." "There are currently 10,500 ingredients documented by the FDA?" The FDA doesn't require that manufacturers of personal care products register with the FDA. Manufacturers do not have to file a list of the ingredients in their products. They are not required to report any injury that occurs due to the use of their products. It's really kind of crazy considering that we apply these chemicals to our bodies every day over a very long period of time: we are introduced to lotions as infants. Just because we're not supposed to ingest grooming products (although we often do) doesn't mean they don't enter our bodies. Our skin is permeable, that is, it absorbs what is applied to it. Dr. Epstein warns, in the book Toxic Beauty, that "What we put on our skin affects our health just as much, if not more, than what we put in our mouths." Ingredients that you absorb through your skin can result in body concentrations 10x higher than oral doses. They do not pass through your GI tract, so they are not first filtered by your liver. They are absorbed directly into the bloodstream. A concerning development is the addition of "nanoparticles" to personal care products. These "penetration enhancers" are mean to deliver ingredients even deeper into the skin. The Cancer Prevention Coalition lists "penetration enhancers" as one of the major categories of toxic substances in personal care products. Dyes, detergents, preservatives and other common ingredients are known to be harmful. Fragrances, perfumes and "aroma boosters" are particularly dangerous. Manufacturers are not required to list the individual ingredients that make up a fragrance, and "fragrance" on a label can signify the presence of up to 4000 different compounds. 3 of the worst chemicals commonly found in many cosmetic products are parabens, propylene glycol and sodium sulfates. Parabens are preservatives used to increase the shelf life of shampoos, conditioners, makeup, lotions, deodorants and toothpaste. They are a component in 90% of personal care products. Common types of parabens are butyl, propyl and ethyl parabens. Methylparaben is often used in skin products to fight aging and yet a Japanese study linked the compound to excessive skin aging when combined with exposure to ultra-violet rays. Parabens have been found to cause skin reactions such as rashes, dermatitis and eczema. Recent studies have found that parabens mimic estrogren and can affect both male and female reproductive organs. Some research has found that low sperm count and low testosterone levels are directly related to paraben levels. Increased oestrogen levels are linked to higher incidences of breast cancer. One UK study measured paraben levels in cancerous tumors of the breast and found high levels in 18 of 20. PGs and PEGs are organic alcohols used in personal care products such as make-up, deodorants, hair-care products, aftershave lotions and toothpaste to stabilize fragrance formulas and attract moisture. Propylene Glycol and Polyethylene Glycol are also industrially (and in the same forms) used in antifreeze, oven cleaners, brake/hydraulic fluid and plane de-icers. These organic alcohols are used to break down the structure of cells and proteins. They have been linked to dermatitis, kidney and liver problems, and decreased immunity. They inhibit skin cell growth and are potentially carcinogenic. SLS and SLES are surfactants found in 90% of foaming products. Common in bubble bath, body wash, shampoo, toothpastes, make-up, and mouthwash, they're also used to degrease car engines, clean garage floors and wash cars. Sodium Lauryl Sulfate and Sodium Laureth Sulfate are especially dangerous because of their denaturing properties. When combined with other ingredients,they change the nature of proteins in unpredictable and frightening ways. The American College of Toxicology reports that these chemicals cause eye malformation in children. Animal studies showed that SLS caused eye damage, depression, diarrhea and labored breathing. There have been many accounts of skin irritation and outbreaks due to SLS and SLES use. Research has found that these compounds enter the heart, liver, lungs and brain and can become a potent source of the carcinogen, nitrosamine. They also act as estrogen-mimics and may be linked to PMS, menopause, male infertility and breast cancer. Each year, on January 23, the inhabitants of Pitcairn, Britain’s smallest colony, burn a model of His Majesty’s Armed Vessel Bounty. The ceremony, accompanied by cheering and singing, commemorates the sinking by fire of the ship in 1790. Her demise, off the tiny bay that now carries her name, was, deliberate or not, a moment of no return for Acting Lieutenant Fletcher Christian and the eight seamen who had followed him to that lonely volcanic outcrop, lost in the South Pacific vastness. Lost, quite literally. Originally sighted by HMS Swallow a few years earlier, in 1767, the island was promptly named after the young officer who spotted it, charted on a map and forgotten. 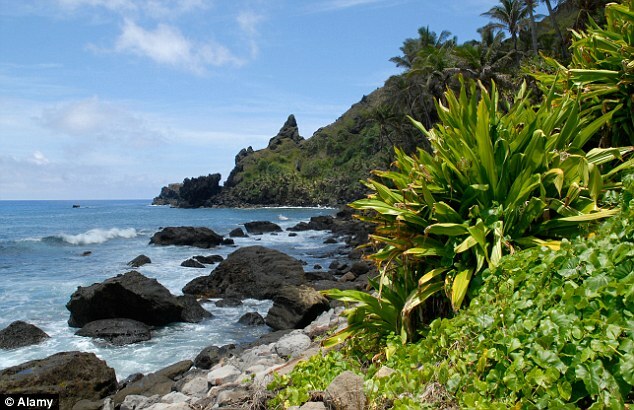 It was Christian, examining the charts kept by William Bligh, the captain he overthrew, who realised that Pitcairn had been incorrectly positioned 188 miles west of its true location. A perfect place to hide from a vengeful Royal Navy. Wake Up America, We are Still in a Recession! The United States was once considered rich. We accumulated abundance throughout most of the twentieth century. We were a very productive country whose wealth, to a great extent, derived from manufacturing. Our companies invented and produced many of the things we needed and much of what the rest of the world consumed. corporations have purchased much of Wall Street in the last decade. Ten Twelve (so Far) Worthwhile Reviews of and Reflections on Thomas Piketty's "Capital in the Twenty-First Century"
The U.S. deployed special forces to Syria earlier this year in an effort to rescue slain photojournalist James Foley and other Islamic State hostages, but couldn’t locate them, U.S. officials said Wednesday. “The president authorized action at this time because it was the national security team’s assessment that these hostages were in danger with each passing day in ISIL custody,” assistant to the president for Homeland Security and Counterterrorism Lisa Monaco said in a statement. It’s no secret that California has endured a severe drought for the past three years — but some Americans may not realize exactly how serious it is. Before and after photographs, however, may change that. The top photos picture Lake Oroville three summers ago, in July 2011. The bottom photos show the same California lake at just 32 percent of it’s total capacity of 3,537,577 acre feet, according to NBC News. (FOX NEWS) The Obama administration said Tuesday that it was working to confirm the authenticity of a newly-released video that purportedly shows the killing of American freelance journalist James Foley by Islamic State militants. Fox News has learned that the video, which is being taken seriously by U.S. officials, is being analyzed by a special group within the US intelligence community that specializes in media exploitation. The group, formerly known as the Islamic State of Iraq and Syria, is believed to have other Americans in their custody. 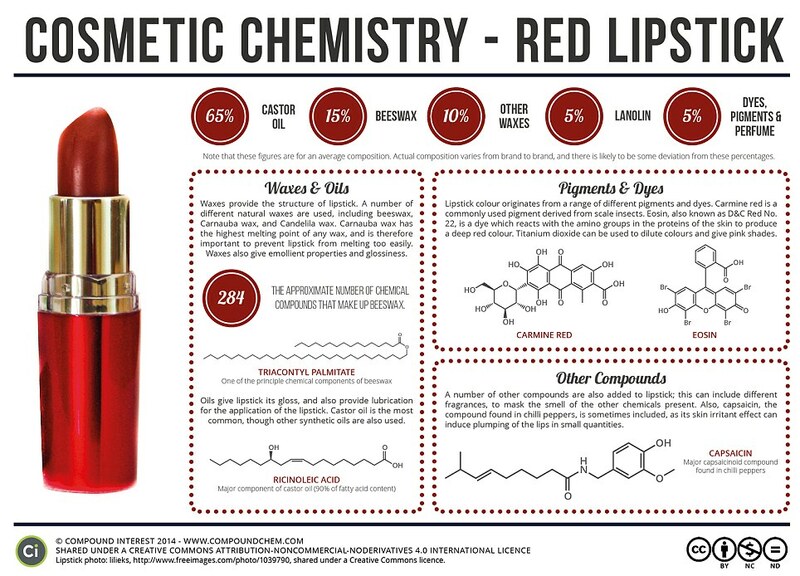 What's really in your lipstick? Bugs N Stuff? From vampy plum to pale pink, most women own at least a handful of lipsticks. But few will have considered the ingredients that give them the perfect pout. Now, one chemistry teacher has revealed the strange components that go into lipstick, including insects, wax and even chilli. This is Barack Obama's Legacy - DEATH! Sunni Muslim militants fighting to set up a hardline Islamic regime in Iraq posted shocking photos over the weekend showing captured Iraqi government soldiers being loaded by the dozen onto trucks, then gunned down in a mass grave on the side of the road. The graphic images were taken in the Salahuddin province north of Baghdad, after militants with the Islamic State of Iraq and the Levant seized an Iraqi Army base in the area, reported the Long War Journal, a publication which tracks Islamist militant groups. A photo essay posted on social media platforms associated with the militant group appeared to document the disturbing events as they played out. The news network would cut ties with the former first daughter if her mother formally announces that she will be seeking the presidency. Is this even more proof that the MSM is just part of the Democrat elite? People should be in jail. Tony Stewart hit and killed driver Kevin Ward Jr., who walked toward Stewart's sprint car Saturday night after the two had an altercation at Canandaigua (N.Y.) Motorsports Park, according to authorities, witnesses and video of the tragedy. Stewart was racing a sprint car in the Empire Super Sprints series at the half-mile dirt track in upstate New York, about an hour from Watkins Glen International, site of this weekend’s Cup race. The Ontario County (N.Y.) Sheriff’s Office said that Ward was declared dead 45 minutes after the accident upon arrival at Thompson Hospital. "Mr. Stewart has cooperated with the investigation, which is ongoing," the release stated. Stewart was not arrested and the sheriff told reporters that the driver had returned to Watkins Glen. The case will be handled by the district attorney. Tyler Graves, a sprint-car racer and friend of Ward's, told Sporting News in a phone interview, "I know Tony could see him. I know how you can see out of these cars. When Tony got close to him, he hit the throttle. When you hit a throttle on a sprint car, the car sets sideways. It set sideways, the right rear tire hit Kevin, Kevin was sucked underneath and was stuck under it for a second or two and then it threw him about 50 yards." Our sister site RaceRap.com has already had some comments on what will probably be a heated topic. Bryan Bowyer posted, "Sad situation for all involved, especially the deceased's family. Racing is an extremely dangerous and emotional sport. Much will be written and spoken about this tragedy over the next several days. The incident will be investigated by law enforcement and racing experts, let them do their jobs." Other post just exclaim sorrow..."My thoughts and prayers go out to the families of this tragedy." Said Kevin Mckinnon, known online as KOST. ), and we know that God wants everyone to have a full chance to repent and be forgiven and to be saved (2 Peter:3:9; 1 Timothy:2:4). The Bible shows that those who did not understand God’s spiritual truth during their lifetimes will have another chance at life, a chance to deal with their problems better. By resurrecting them, God isn’t giving them a second chance at salvation, but rather their only chance. See our Frequently Asked Question, “Will everyone have a chance for salvation? 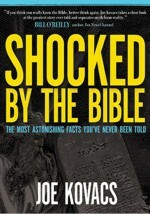 ” for more information about this needful and little understood truth—the second resurrection. The Abortion Debate: What Does God Say? 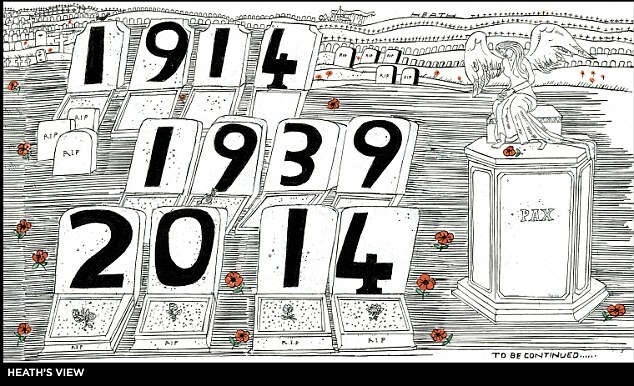 World War 1: Tomorrow marks 100 years since Europe plunged into the war to end all wars. Exactly 100 years ago tomorrow, Britain stumbled into a war that would change the face not just of this country but of the whole of Europe, for ever. 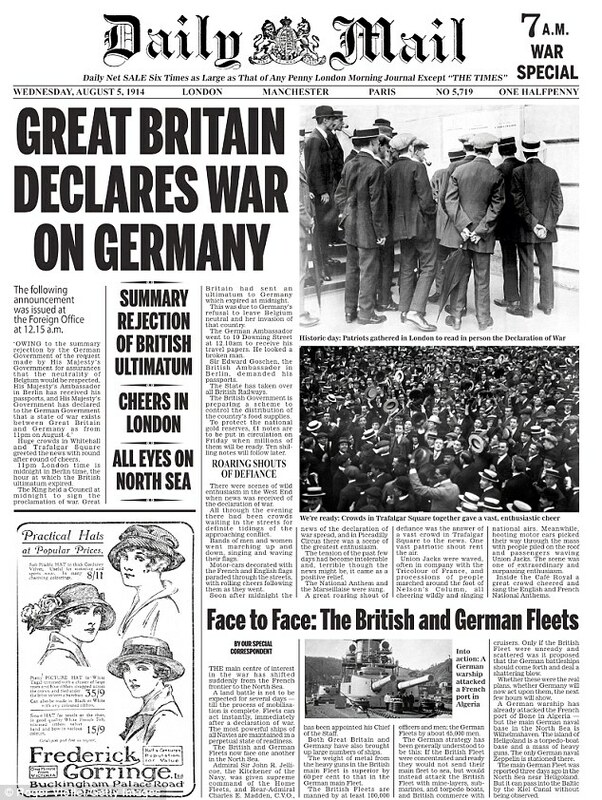 Its consequences would spread far beyond the continent where it was fought, initiating almost a century of upheaval, revolution, bloodshed and conflict unimaginable to the Britons who cheered when we decided to fight the Kaiser on August 4, 1914. It is no exaggeration to say that the effects of the Great War are still being felt. It isn’t just that so many families remember great uncles or grandparents or great-grandparents who lie in what Rupert Brooke called ‘some corner of a foreign field’. The conflict in Ukraine and the bloody wars in Syria, Iraq and Gaza all have their roots in a war that destroyed the empires that constituted the old world order, and which began a century ago almost to the day. Ukraine’s troubles were born from the ruins of the Austro-Hungarian and Russian empires, and the horrors of the Middle East from the fall of the Ottoman Empire. These two conflicts have conspired to make the world more dangerous than since the height of the Cold War in the early 1960s, and are direct legacies of the bloodbath which the nation commemorates the centenary of tomorrow. The Great War threw history off its supposed course of progress and enlightenment. It recalibrated the world. It destroyed empires, undermined the power of those who survived, fomented revolutions, broke class systems and social orders, and created a new superpower in the shape of America. It also sowed the seeds of totalitarianism, causing an even more murderous war 20 years later, and divisions between east and west that remain painfully apparent today. Has National Security Become a State Religion? In a SPIEGEL interview, Edward Snowden's lawyer, Jesselyn Radack, and former NSA contractor Thomas Drake discuss the reasons behind the American spying agency's obssession with collecting data.